Home / Pregnancy / What Symptoms Should I Expect During My First Week of Pregnancy? The most common early pregnancy symptoms are breast tenderness and morning sickness, but other symptoms can also indicate that you are approximately one week pregnant. Officially, you are pregnant when a sperm penetrates and fertilizes your egg. You can determine your pregnancy due date by counting back to the first day of your last menstrual period. It is important to note that conception technically does not occur for at least two more weeks. In fact, you should not be alarmed if you do not experience any symptoms until you 4th to 6th week of pregnancy. If you do experience symptoms during your first week of pregnancy it is probably due to the rapidly increasing pregnancy hormones (HCG) coursing through your body. If you want to know what symptoms to look for during your first week of pregnancy, then you have come to the right place. This article will give your tips on what symptoms to expect during your first week of pregnancy. During your first week of pregnancy, you may notice that you are late for your menstrual period. One of the earliest symptoms of pregnancy is a missed period. If you have a “regular” 28-day menstrual cycle, your “period” normally starts on the 28th day. If you are a couple of days late starting your “period,” than you may be one week pregnant. It is important to note that not all women have a regular menstrual cycle that begins each month on the 28th day. The main way to tell if you are one week pregnant is to calculate when you are due to start your menstrual period and determine if you are indeed late. If you are experiencing unusual spotting and/or light bleeding then you may be one week pregnant. One of the earliest and most common indicators of pregnancy is implantation bleeding, spotting and/or light bleeding that varies from your normal menstrual period in length, color and consistency. 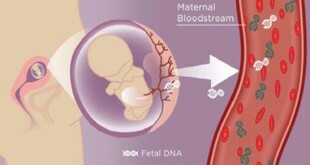 This type of bleeding occurs when the fertilized egg implants in the lining of your uterus. It is often light pink, tan or brown in color and light enough to only require a light pad, if that. During the first week of pregnancy, you may mistakenly believe you have started your menstrual period when in actuality you are experiencing implantation bleeding. According to American Pregnancy Association (2008), not all women experience implantation bleeding when they are pregnant, but if you do it should occur between the 6th and 12th day following conception. If you experience a slight raise in body temperature that lasts approximately 7 to 14 days past ovulation, then you may be at least one week pregnant. If you are pregnant, your body temperature should be elevated approximately 4/10 to 1 degree Fahrenheit. Moreover, your temperature should stay slightly elevated throughout your pregnancy. If your temperature returns to normal at the time that you are due to start your menstrual period, then you are probably not pregnant. The Mayo Clinic (2011) suggests that you take your temperature upon waking in the mornings. If possible take your temperature with a body basal thermometer before urinating, eating, drinking and/or moving around. 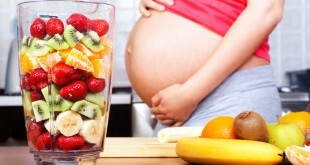 Previous What Should I Eat During My First Week of Pregnancy?